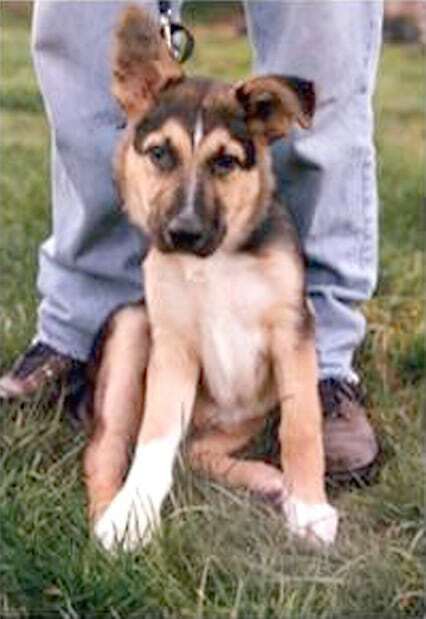 New Tripawds members often ask, “Who’s Jerry?” Well… back in 1998, I was an abandoned six month old pound puppy, until my pawrents, Jim and René, took me home with them. They had a business in Eureka, California, and when I joined their pack, one thing was clear; they worked way too hard. So I nominated myself CFO (“Canine Fun Officer”) and made sure to take them hiking in the beautiful beaches and mountains where we lived, as much as pawsible. I was an active, healthy dog who ate good foods and stayed fit. 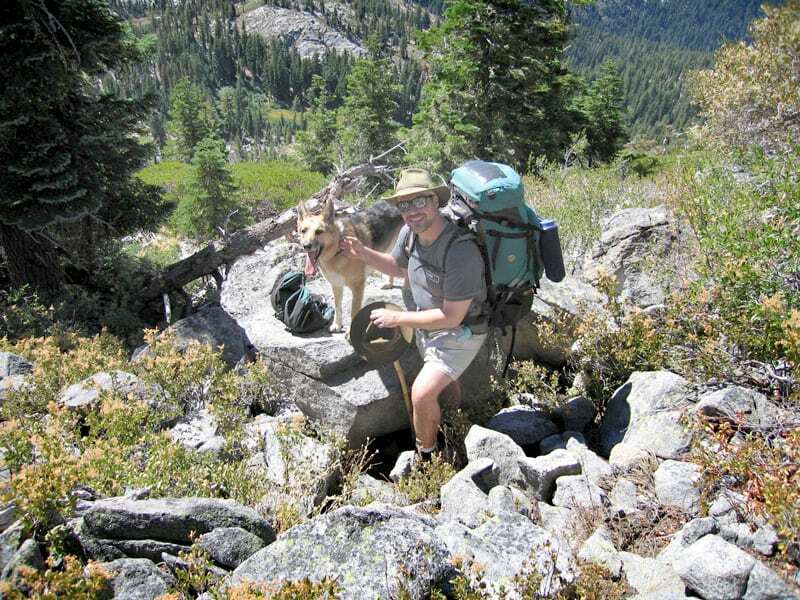 But in 2006, when I turned eight, my leg started hurting real bad after a backpacking trip. Weeks went by while I tried to hide my pain until doctors found out why I was hurting; I had bone cancer, and my left front leg had to be amputated. My pawrents were devastated. They didn’t know anything about amputation surgery, cancer, or tripod dogs. When doctors told Dad I was going to be a “Tripod,” he thought that was kinda mean. So Dad coined the spelling “Tripawd” because that’s what we are right? Three-pawed dogs! Mom and Dad felt so scared and alone. They started blogging about our life and making movies of our adventures as a way to cope. That’s when Tripawds.com was born. As for me, I just wanted to be out of pain. And on Thanksgiving Day, 2006, I got my wish. 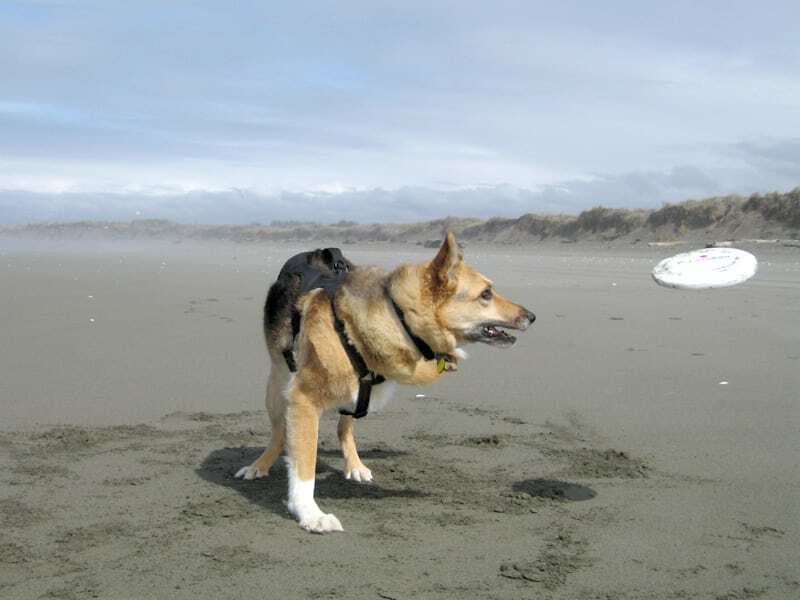 I became a Tripawd after the good docs at the University of California at Davis Vet Teaching Hospital took my leg off. That horrible pain was gone, and my lungs were free of metastasis, but doctors still only gave me about four months to live (osteosarcoma is a very fast-spreading disease). Prognosis schmognosis, I just didn’t care about that. Remember, time means nothing to us dogs. We don’t even know how to tell time! Living for the moment is all that matters, so when I saw how upset my people were, I decided to show them how to really live! Once I healed up, I made them take me to play on the beach and out into the world again. I didn’t have chemotherapy, so instead I went on a super healthy diet and took lots of supplements. Every day became a reason to celebrate one more day together. My parents were great students as they learned how to quit worrying about the future and instead focused on the here and now. While nobody ever really knows how long we have on this earth, we all knew the facts: this type of nasty cancer would shorten my life. We didn’t want to waste any time, so Mom and Dad sold their business and almost everything they owned, bought a RV, and together we hit the road to see North America, together as a pack. We started in June, 2007 and for two years we drove more than 30,000 miles around the country. We went coast to coast, and everywhere we went, I did my best to show people how awesome three legged dogs can be. 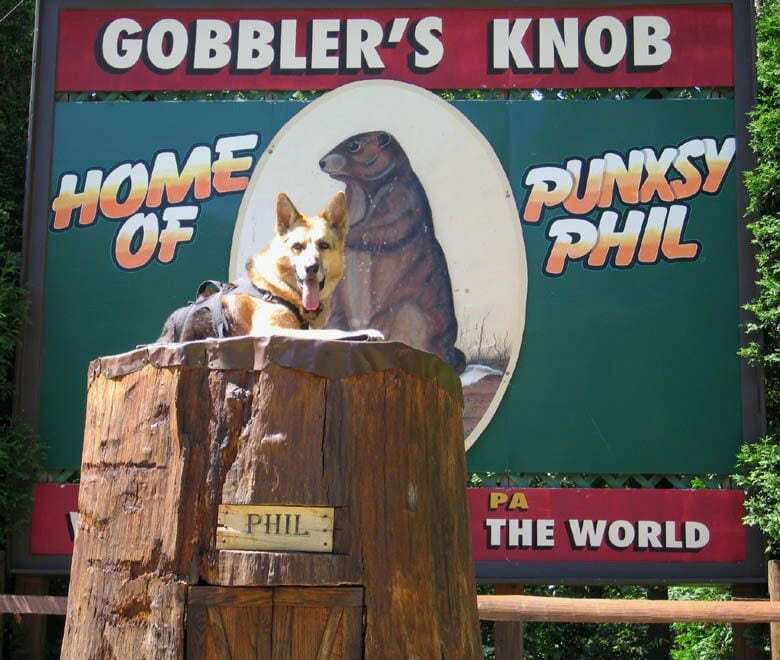 I met so many other cool Tripawds and humans, and saw such neat places! Together, we spread the word that “It’s better to hop on three legs than limp on four!” The more months that went by, the more we were amazed and grateful for how much extra time we had together. We were even featured on Public Television, in a PBS documentary called Nature: Why We Love Cats and Dogs. While we traveled, Dad kept adding features to Tripawds, and before we knew it, we had over 1,000 members who found themselves in the same place, wondering if amputation was the right thing to do, and how they would cope. Some were facing cancer, some weren’t. But we all shared the fear of not knowing what living on three legs is really like. Once Dad added Discussion Forums to Tripawds, our pawesome community grew larger, and that’s when we realized that this community is indeed a special place, full of love and support from pawrents who understand the depth of caring that special humans have for their animal friends. My pawrents and I had an incredible journey together for two great years, far longer than any statistics said I would live. But on October 3, 2008, two days after my tenth birthday, I earned my angel wings under beautiful Montana skies. Despite our broken hearts, gradually we healed, and found beauty in the truth that the timeless bond we share goes far beyond our physical selves. We will always be together in our hearts. Watch Jerry and his pack in Nature: Why We Love Cats And Dogs on PBS. Although I no longer hop on this earth, my spirit lives on forever through this incredible community and the inspawrational tales, resources, movies and discussions of our two and three legged friends from around the globe. The Tripawds community has since turned into a volunteer labor of love for my Mom and Dad. This accidental project they started is now their life’s calling, and they hope that here you will find the strength to overcome any obstacles you are currently facing, and learn how to live a joyous, fun-filled life as a three legged Tripawd hero. 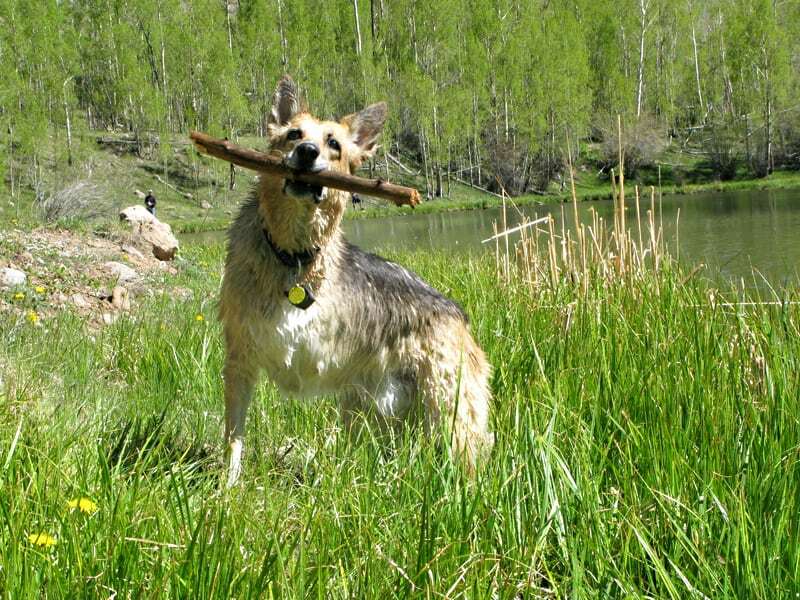 The Tripawds community has since grown to host more than 1,000 blogs and with 11,000+ members sharing their story. The blogs, forums live chat, toll-free Helpline and many more helpful resources remain free, thanks to your support of the Tripawds Foundation! Dear Jerrys’ spirit. I have just watched your video and man are your pawrents awesome! Thank you a million times over for being such a strong spirit, that they not only changed their lives for you, but between the three of you, you have helped so many more pawrents come to terms with and help them through a very difficult journey. I’m sure you are so very proud of what they have achieved! I am only at the beginning of my journey with my Stewie boy, but I feel like I am ready for him to come home tomorrow as a new Tripawd hero! Petra and her very brave boy Stewie. This is such an amazing and beautiful story. As a new Tripawd pawrent I am so thankful for this community. I can’t even begin to list all the things that I have learned in just two days. Because of this website and community I will be able to give my Zoe a shot at a loving , fun filled life. Awww thank you so much for the kind words. Every story here helps another later on down the road. Zoe and you are helping to weave the fabric of support and love for folks going through a ruff time. We’re so glad you are here! Oh wow, what a beautiful story! You are truly a great family and did so much for your Jerry who seem to have the best life ever. What a great story 🙂 Thank you so much for all this. Aww thank YOU Vinny, you are now a big part of this community, we really appreciate it! Thank you so much for creating this site. It has been a blessing, inspiration and place for gathering information and mostly HOPE in a time of great distress, fear of the unknown and confusion. This site has been my go to over the last month and I wanted to THANK YOU!! What great pawrents you were/still are to Jerry! Hi Max & Family, we’re glad you found us! Please let us know how we can help, we’re here for you! And we also have a Tripawds UK Facebook group too so you’re definitely not alone. Good luck and keep us posted. Hi Brian, thank you so much for commenting and sharing your story. I’m so sorry to hear about your Shepherd, and your health situation. When you can turn something so terrible into a positive, life-changing situation, that’s what we call “Being more dog.” Your Shepherd (and your current dog) have taught you well. We would love to hear more about your life on the road, be sure to visit us at LiveWorkDream, keep in touch. I only want to say thank you so much for making such a wonderful and incredible site 🙂 and my only wish is that I had found you sooner especially when my Fizzles first became ill.
As it would have helped me no~end and would have made the coping of Fizz’s illness a little bit easier. You’re so welcome Zena. I know that Fizz’s story will help others, thank you for taking the time to share your journey with all of us. Fizz is proud. Pretty cool two years is a long for a dog in dog years ….. that gives me hope that i will be around for a while yet. I can do a lot of adventure in tow years ………………Thanks for the site ..
Bowei, that is so nice of you. We are glad you’re here and hope that Adun gets well too. thanks,i can not help my tears when jerry said I earned my angel wings under beautiful Montana skies, i feel happy for jerry, because Jerry did a good job about enjoying his life… i hope Adun still have couple years to enjoy, i wanna him to see my son or daughter,that is my wise, but i have not married yet, may i ask u about what happened finally about Jerry if the question is applicable for u? i am sorry to mention this. BTW read a little bit with ur bussiness,i saw something about graphic design,i will read them through later,i am a 3th student from Computer Games and Visual Effects, in final project, i will design Adun to be a dog hero for one of my game character,i fouce on makeing game 3d character in my course, i hope i can use the Character to give more people confidence to beat any kind of cancer. i have got some 3d work pics in my facebook photo album i would like anyone go to see them.i will try my best to make this good 3d work about Adun’s character, i would like to give it to your forum to be a gift when i finish it, if it is applicable. A random internet search to learn more about dog amputation led us to this site. And here we have found support, love and understanding that we would have been lost without. Just knowing that we are not alone in this scary journey has been more comforting than we could ever express. Thank you Jerry and your pawrents for creating this labor of love so we can all share the joys and sorrows we experience with our tripawds. sometimes thank you doesn’t seem like enough… but Jerry, your folks give hope where others see none… a true blessing to us all!!! I will also state that what Jim & Rene have done for people like us with Tripawd dogs IS nothing short of amazing and so VERY much appreciated! 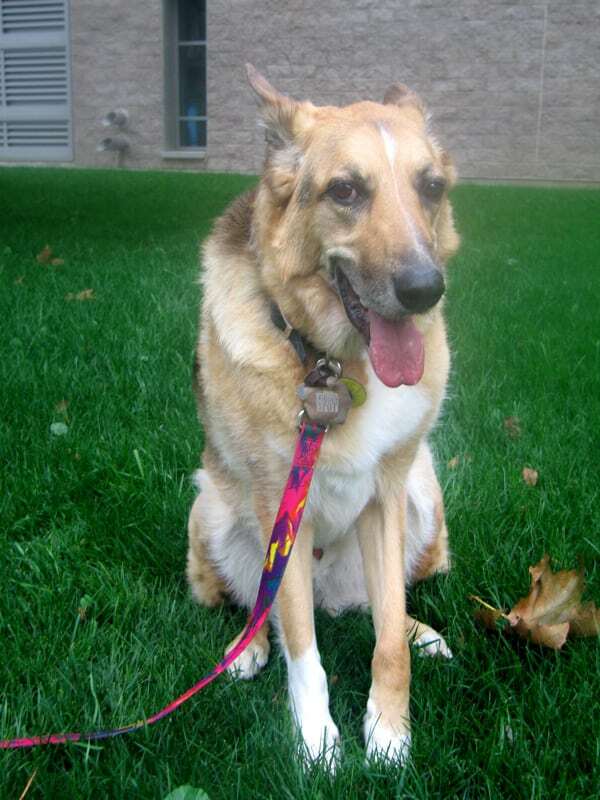 I no longer feel alone in this journey of owning a tripawd dog and having cancer. You guys totally, totally ROCK! Some of us lost our sanity before finding the site (me)! The last several months have made up for 10+ years of feeling alone in the world of tripawdness! Thank you. You have saved my sanity and touched so many lives, canine and human alike. What you are doing, and have done is nothing short of amazing. Jerry, your parents do a pawsome job with their labor of love! This site has been our saving grace as we journey down this road with Holly. 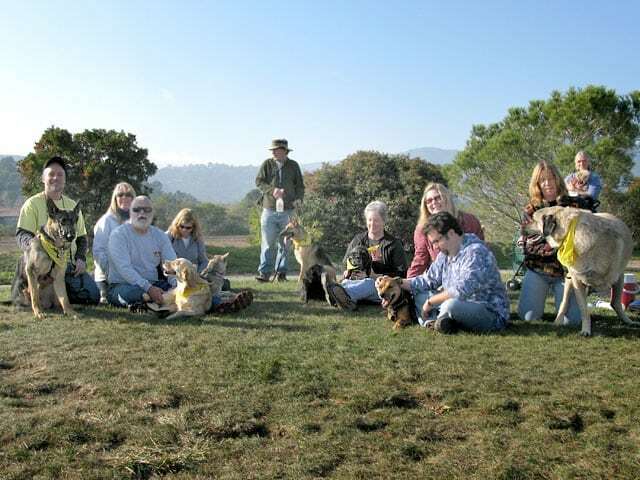 Thank dog for their big hearts and vision to gather such a pawsome community!